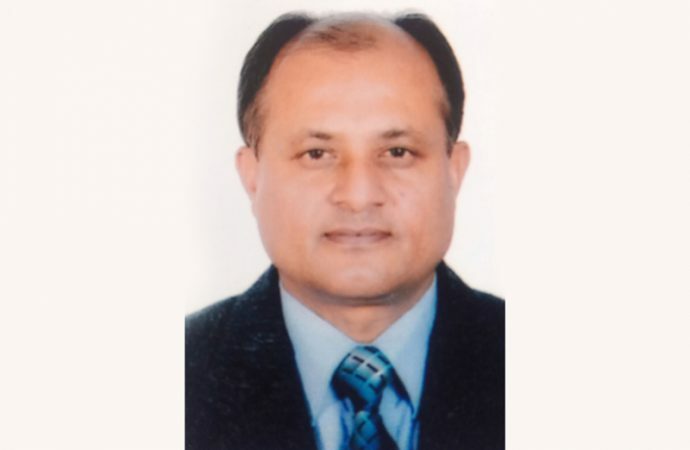 Appointment of Mr. Anil Kumar Upadhyay, Chief Executive Officer of Agricultural Development Bank Limited, Nepal. Mr. Anil Kumar Upadhyay he is a Dynamic result oriented leader with more than 30 years of successful working experience in Banking sector both in Development Financing as well as Commercial Banking Business serve as Deputy General Manager/Chief Director and Divisional Head of ADBL (for more than 10 years ). Hands on experience in team building and managing change with successful execution of organizational restructuring of Agricultural Development Bank Limited (ADBL) in coordination with Rural Finance Development I &amp; II Cluster Programs of Asian Development Bank (ADB) to drive organizational improvements and implementation of best practices during Deputy General Manager (Chief of Business Operation) and Division Chief (Credit, Branch Operation and Human Resource). Possess clear vision in Strategic Planning, Credit Business, Non-funded Business and Liquidity and Risk Management and Banking Branch Operation of the Bank. Superior interpersonal skill, capable of resolving multiple and complex issues (managerial, economic and trade unions) and motivating staff for the utmost performance. Leading experience in Rural Financing and has worked as the Board of Director and its Committee in Human Resource (as Chair person), Audit and Risk Committee (as Committee member) of Sana Kisan Bikas Bank Limited (SKBBL) and also involved in a Strategic Committee Member of Alternative Energy Promotion Centre (AEPC) and Bio-Gas Support Program for development of Alternative Energy in Nepal.